The existing “free to customer” guest Wi-Fi network at the Fairgrounds was undersized, performed poorly, and was advertising heavy. The County was losing campers who were disappointed with the lack of wireless coverage in the RV Park to nearby campsites. Additionally, vendors who rely on wireless devices to process bank card payments and scan event tickets were frustrated due to the poor quality and coverage of the Fairground’s enterprise wireless network. Vendors can seamlessly scan tickets and process bank cards on a PCI compliant system from new areas of the Fairgrounds. Dependable wireless access from virtually every corner of the Fair and Expo Center, inside and out. 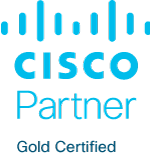 The network is exceeding today’s requirements and positions the County for future growth. 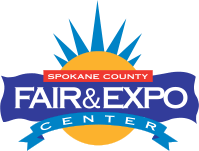 The Spokane County Fair & Expo Center, located on 97 acres in the City of Spokane Valley, offers ample parking, excellent exhibition space, multiple indoor and outdoor arenas, an RV Park, and spacious lawns. It has a wide variety of buildings and facilities well suited for diverse events and functions, from large trade shows to regional and national conventions. With almost 145,000 square feet of exhibit space and 3,000 square feet of meeting rooms, the Fair & Expo Center accommodates roughly 450,000 visitors every year.